Design and music intersect in many ways; fashion, album art, set and instrument design. Graphic notation is one side that is relatively unknown outside the sometimes rarefied world of orchestral and experimental music. 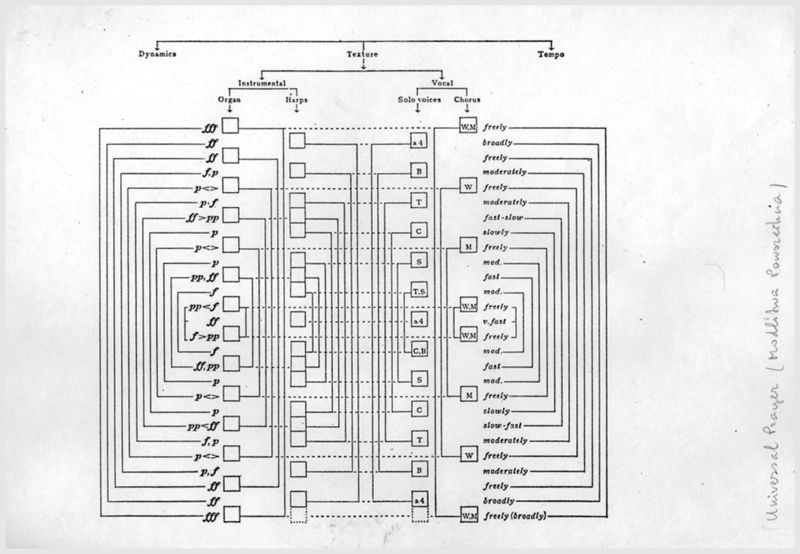 Composers have always grappled with ways to express themselves and in the twentieth-century, a number of them began using this radical graphical approach to writing scores. It was a two-fingered salute to the prevailing musical establishment. Graphic notation functions the same way as traditional musical notation, but instead, uses abstract symbols, images and text to convey meaning to the performers. A few of these composers incorporate traditional notation and then bend it in unique ways. 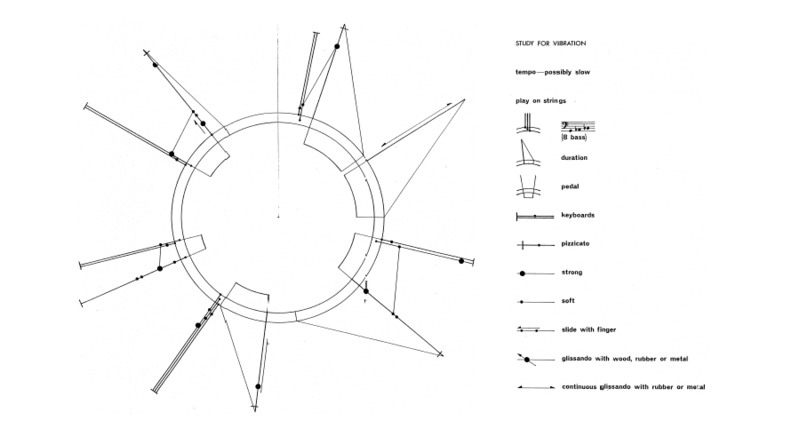 The visual comparison between traditional and modern graphic notation can be striking. Traditional notation is linear and rigid. Modern graphic notation is open, can offer flexibility, and allow the performer to interpret the composer’s ideas. It all started around 840 C.E. when a former monk named Aurelian of Réôme created one of the first examples of Western musical notation. This was a basic attempt to create a treatise on music theory called Musica discipline. By the Baroque era in Europe, composers wanted to set down their work with greater consistency and leave less interpretation open to performers. Now musical language was becoming codified. Yet various composers like Beethoven, then Gustav Mahler in the late nineteenth-century, strained to break free of the traditional boundaries. Their orchestral scores are full of scribbles, footnotes and marks as if sticking to the rules was too much for them. 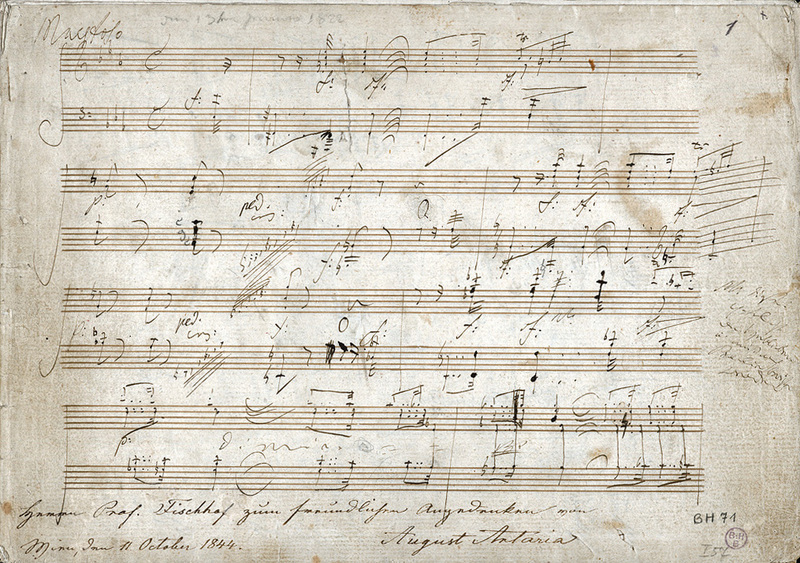 This is Beethoven’s score from 1844. Even in its constraints, you can see him breaking free. In the early twentieth-century, composers such as Henry Cowell began experimenting with notation and his New Musical Resources (1930) was a radical attempt to change musical notation. Increasingly throughout the twentieth-century and following the horrors of the Second World War, there was a growing feeling among composers that traditional Western notation was inadequate to express their musical ideas. 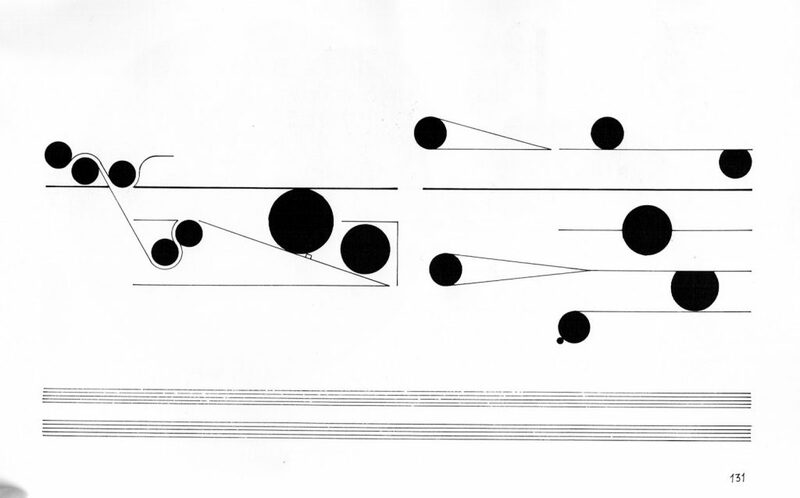 The earliest example of a full-blown graphic score is Morton Feldman’s Projection 1 (1950) for solo cello. 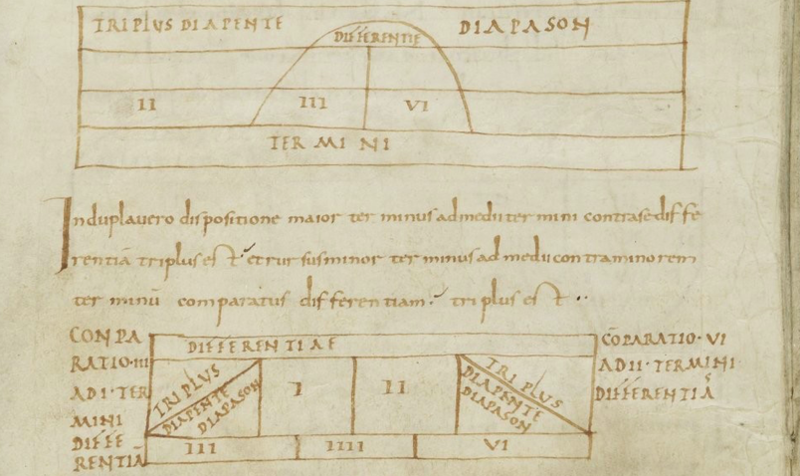 It features an entirely original notation, which looks more like a circuit diagram. It sounds and looks ahead of its time. Listen to it here. 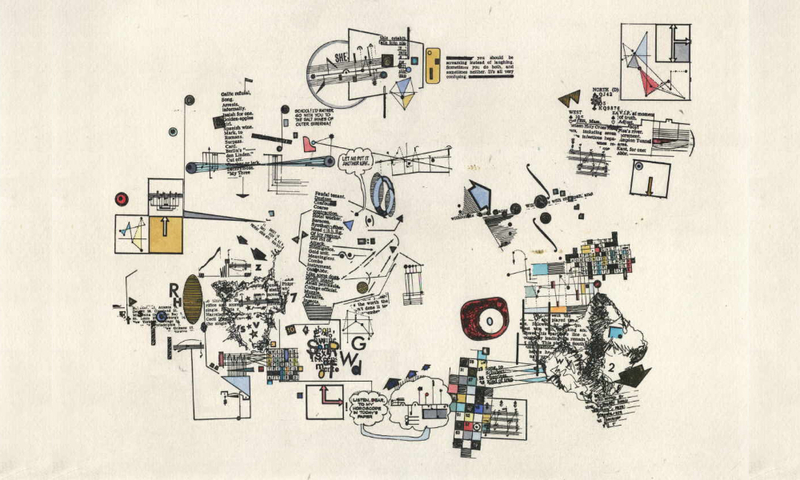 Throughout the 50s and 60s, Graphic notation started to be taken seriously by the new generation of heavyweight post-war composers like Krzysztof Penderecki, Karlheinz Stockhausen, John Cage, Roman Haubenstock-Ramati. 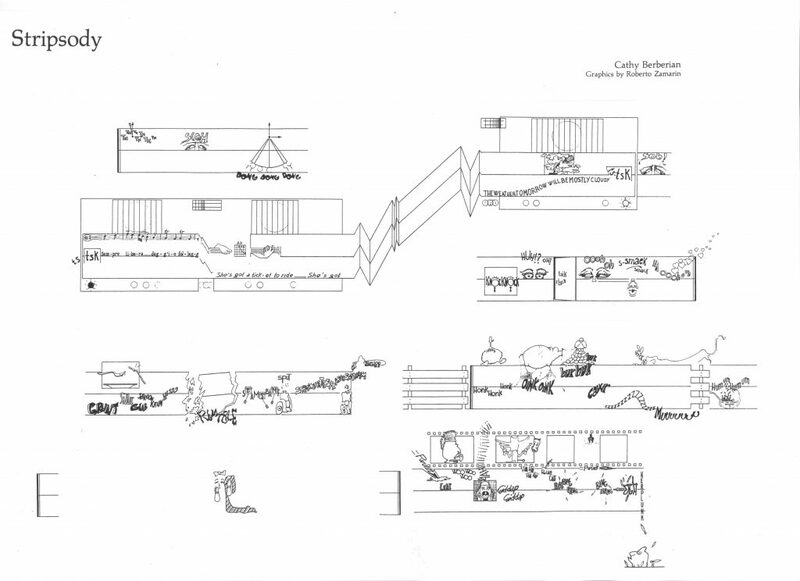 Arguably the greatest musical score ever designed, a pinnacle of graphic notation is by Cornelius Cardew, entitled Treatise (1963-1967). The piece consists of 193 pages of highly abstract scores. This is the Sistine Chapel of notation. His training as a graphic designer is obvious. He even used principles of cognitive psychology, which is central to design. The score was created to inspire creativity and interpretation of the performer. No other instructions were given, not even what instruments to use. It’s a dense piece. Definitely not a soundtrack to a romantic evening in while entertaining your partner – unless your partner is a food blender. It’s a rewarding experience if you follow along with the score. Listen and watch the score unfold. As the complexity and abstraction of music increased, so too did the scores. Many of the pieces that these scores are referencing are obtuse to the point of incomprehensibility, but there remains real beauty in them. There are many contemporary musicians using graphic notation such as Brian Eno and Johny Greenwood, yet I’m not so sure this will make it any less esoteric or more widely used even with the rise of some great music notation software. Here are a few great examples from the last sixty years. Is there a book that has these and more in? The only book I know that deal with this subject is Notations 21 by Theresa Sauer, but nothing that charts the history of it. Hi! I would love to know who is the composer of the colorful score on the top. Also. Graphic scores, who evolve on screens, are exciting questions of our time. We are going toward a “multimedia music notation” with no doubt. The potential developments are not simply considered in their technological aspects, but to enlarge the art of sound, composition, interpretation and performance. This because music notation always been adapted to new technology, from the Neums and even before, to our time. Thanks for these examples. Amazing creativity. 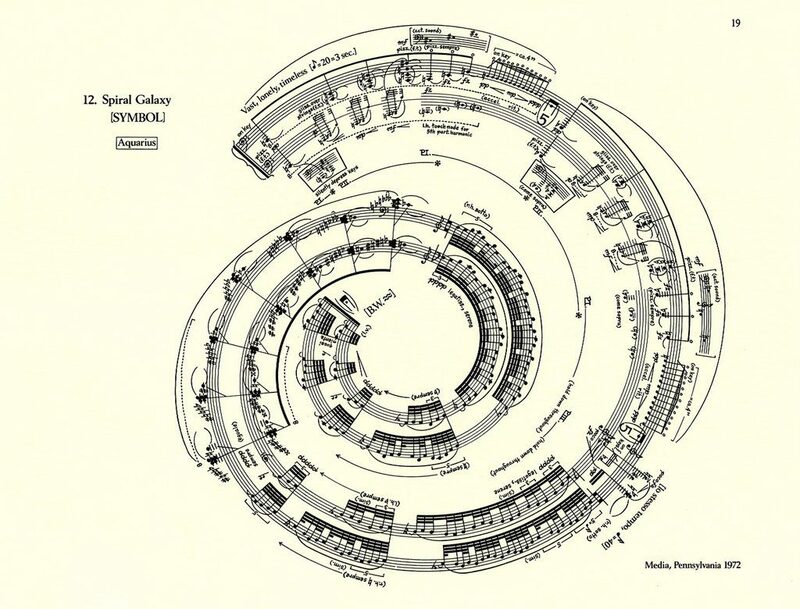 Very interesting read, but don’t you mean George Crumb rather than Robert Crumb as the composer for Spiral Galaxy? It is from his collection of piano pieces entitled, “Makrokosmos”. Hi Lindsey. That’s a funny slip. Robert is a very different character. Thanks for the heads up. I’m curious about your article on graphic music notation. You have a great collection there. 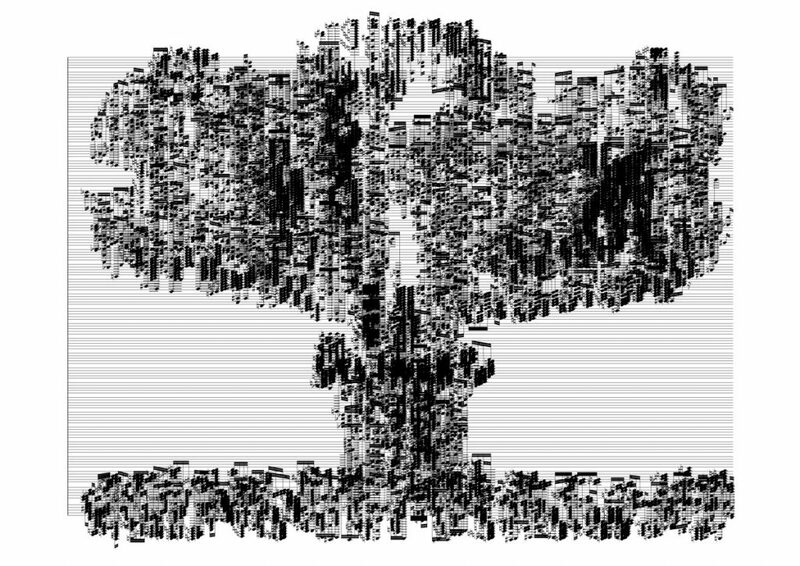 It seems most graphic notations embraces a kind of extreme subjectivity that is to me beautiful, unattainable by tradition notation, but also troubling. If the purpose of notation is to communicate to the listener (via the performer) a set of concepts, feelings, emotions; which the composer has carefully crafted, then the precision of traditional notation (or something like it) is necessary. 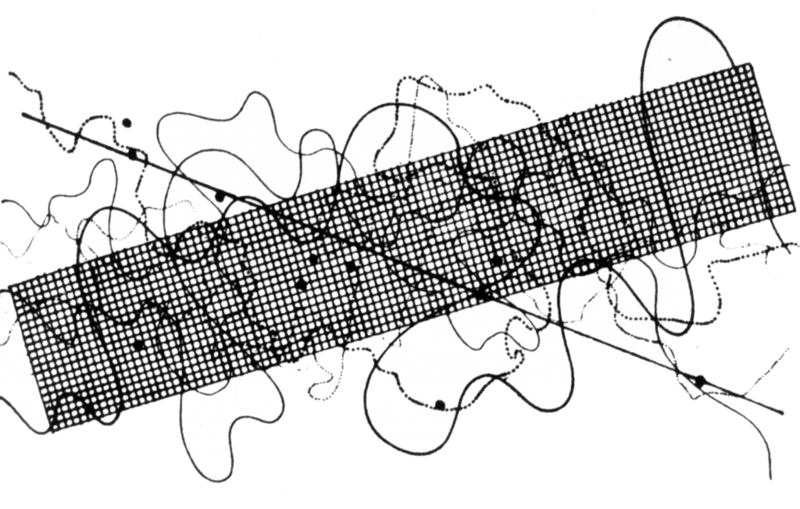 But if the composer wants the performer to construct their own conceptual world in which the listener is to inhabit, then graphical notations are apt. You may be interested in my new notation called pitch bracket notation. It adopts a more precise method like traditional sheet music. But my notation embraces mathematics and art unlike traditional sheet music. Hi Cory, Pitch Bracket Notation looks really interesting. 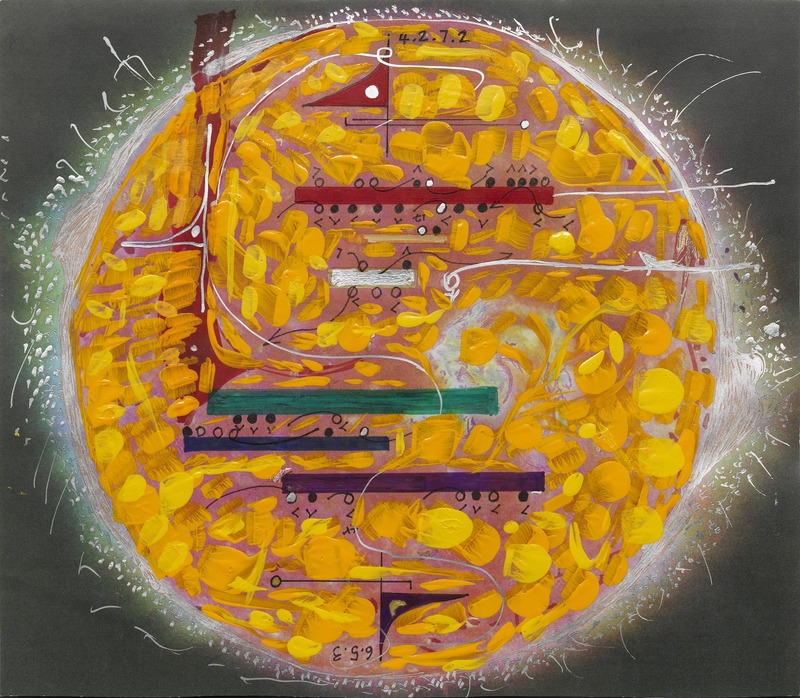 I’d like to see some real world examples or even the notation synched to music like the Cardew piece https://www.youtube.com/watch?v=JMzIXxlwuCs. This blog maps out (based on a real life proof-of-concept) possibilities that span world music notations, instrumentation and music theory models, art, psychophysics and esoterica. I would love to see some of these images brought to life by score during playback. The graphic scores is very beautiful, just like a painting. However, can the performers really understand them? What if they cannot perform the correct music the composer created? 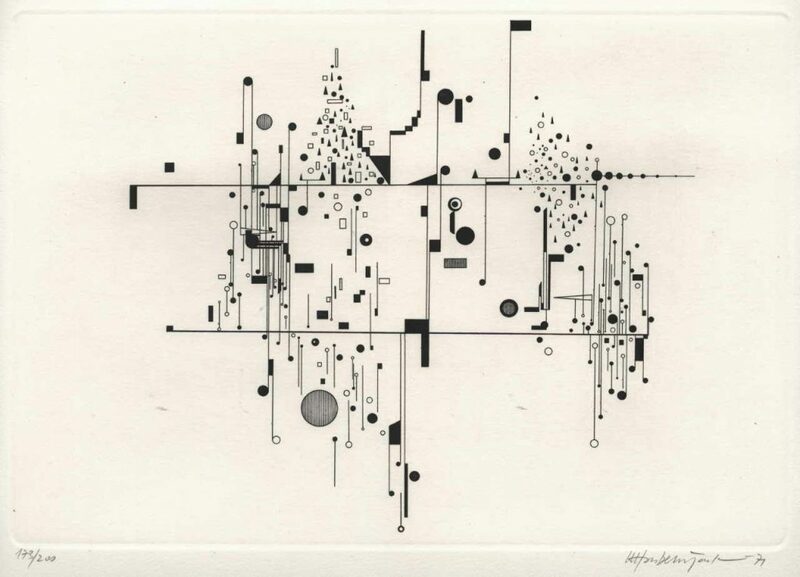 Most of the graphic scores don’t have the meaning of playing the exact music that the composer was thinking of. It’s an interpretation of the music, thats the meaning of graphical scores. You are free to make your own piece of the score, just follow the movements and rules.